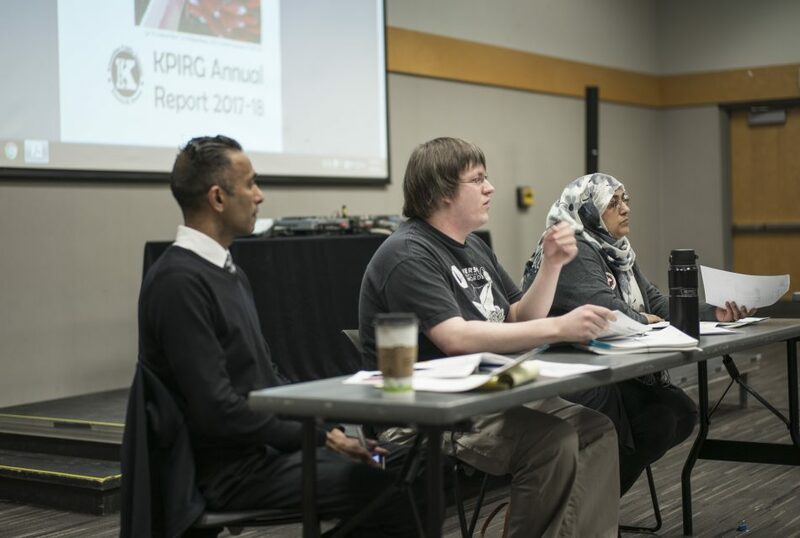 While the case between the Kwantlen Public Interest Research Group and Richard Hossein remains in its earliest stages, some affiliated with KPIRG are opening up about what happened with approximately $112,000 in allegedly misappropriated funds collected from its membership. They have also divulged what they are doing now to address the issue. When KPIRG first began to suspect that their former administrative coordinator had allegedly committed fraud against them, one of the society’s directors, Simon Massey, phoned the police about the incident and later met with them to give a statement. The RCMP are currently investigating the case. Following the society’s annual general meeting on March 28, the directors of KPIRG are Jagdeep Mangat, Simon Massey, and the newly elected Yasmin Ullah. Former director Raqiya Khan did not choose to seek re-election at the meeting. KPIRG’s staff members are Outreach & Communications Coordinator Idil Isse, Research & CARPP Coordinator PJ Lilley, and Administrative Coordinator Dana Kagis. The only member of this team who worked alongside Hossein during his time at KPIRG is Massey, though he only did so as a volunteer while working officially with the Kwantlen Student Association. By the time that he was signed on as a director in June 2017, the alleged misappropriation of funds had already begun. Massey says he was not aware of how the funds were allegedly removed from the society until after the investigation began. He explains that KPIRG has a legal obligation not to disclose confidential information related to the case. Two of KPIRG’s directors who were on the board during Hossein’s time as administrative coordinator, Russel Liu and Lincey Amora, were asked to resign after an in-camera session during a meeting on Feb. 15, 2018. Both Liu and Amora were signing authorities while the alleged fraud took place. After his departure from KPIRG in the fall of 2017, Hossein was replaced as administrative coordinator by Dana Kagis, a long-time activist with an undergraduate degree in cultural anthropology and several years of administrative experience. Kagis had no involvement with KPIRG until she was hired last September. She says that she spends a typical work day taking minutes, coordinating with other staff, providing office supplies and event support, and filing paperwork for processing and signing cheques, timesheets, payroll, bills, and rent payments. She feels that, because of what supposedly took place last year, having her work heavily overseen by directors is important. Kimberley McMartin, a former outreach coordinator for KPIRG, was one of the few people involved in the organization with Hossein during 2017. She remains a KPU student but is leaving the university after she completes her final semester this summer. In her time with the university, McMartin has occupied several roles in KPIRG, the Kwantlen Student Association, and the KPU Senate. McMartin first became involved with KPIRG as its board organizer in 2016 and resigned during the summertime of 2017 due to mental health issues. She was also a signing officer for the organization. While she only learned about the notice of civil claim between KPIRG and Hossein on March 27, she was made aware of the “questioning of where things went” during the early stages of the research group’s investigation into the issue. When McMartin was KPIRG’s board organizer, she spent a majority of her time creating the society’s strategic plans, reviewing the activities of other directors, planning events, conducting outreach and communication, and tracking grants and spending. She was performing these duties—as well as managing the organization’s policy committee—while Hossein was the administrative coordinator. “I know that they were not, like, the $8,000 [cheque]. It may have been $1,000 to $2,000, but it was with associated paperwork at all times,” she says. The associated paperwork, according to McMartin, includes minutes from board meetings that were approved by directors, as well as all associated bills and records. When asked how she and the other signing authorities in KPIRG could have overseen the alleged misallocation of funds, McMartin responds that they “didn’t really get the entire history of the [society]” while they were working there. Now, according to McMartin, Hossein is in Vietnam and no one is able to make contact with him. Addressing her former colleague directly, McMartin tells Hossein to return to KPU in order to tell his side of the story. The Kwantlen Student Association is responsible for collecting the fees that fund KPIRG. 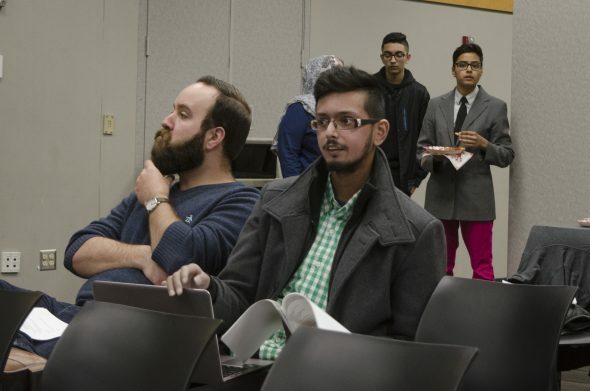 However, the president of the Kwantlen Student Association, Tanvir Singh, only heard about the allegedly misappropriated funds during a meeting with Simon Massey and Jagdeep Mangat in mid-March. Although he says that he is “disappointed in them for not coming to [the KSA] sooner,” and feels that “a week before filing civil notice isn’t necessarily the most appropriate thing to do,” Singh also acknowledges that their decision to inform the KSA was an act of good faith. In his capacity as KSA President, Singh has been reviewing KPIRG’s minutes for years. Throughout the last year, he says that he felt “concerned about how their money has been going,” but didn’t have the evidence to support an investigation into the group’s finances. Still, the executive director of the KSA, Jeremy McElroy, maintains that “the KSA as an entity doesn’t actively engage with KPIRG’s governance.” He adds that the student association will be having a discussion with the research group’s new board in the near future to discuss how to move forward. Singh claims that, despite asking members of KPIRG to meet with him and the KSA VP Finance to discuss the research group’s spending, the two parties were unable to collaboratively examine KPIRG’s financial operations. Singh encourages students at KPU to “take a hard look and decide whether they want to continue funding KPIRG or not” now that the lawsuit has gone public. According to McElroy, the process of the KSA defunding another student organization is complicated and should be avoided if possible. Singh explains that the KSA executive committee and the executive director have met to discuss the issue and are currently awaiting the advice of their legal counsel on what to do next. McElroy says that it will be discussed further at an executive committee meeting next week. A series of preventative measures are being put in place by KPIRG in order to ensure that its funds are not misallocated in the future. According to Massey, one of these changes is that the administrative coordinator will no longer be the only point of contact for—nor the only person able to access documents pertaining to—financial matters of the society. Closely following the organization’s policies and contracts regarding necessary oversight is another standard being set by the current members of KPIRG. A forensic audit is also being conducted to “go back and examine everything,” says Massey. While KPIRG has stated its plans to recover the funds it allegedly lost to Hossein, there is a possibility that the price of pursuing legal action could be higher than the total dollars allegedly misappropriated. This situation may have been what led the KSA, in 2012, to drop a highly publicized lawsuit against several of its former directors. Massey says that KPIRG will be continually in consultation with its lawyers about how to effectively navigate taking legal action against Hossein. As of March 29, Hossein has stated to The Runner that he has “no comment” on the civil claim against him.